Blue Pacific Property supports and respects the tenant like any other valued customer. We like to build a positive relationship with you as the tenant, this enables us to provide a service which enhances your stay and allows us to manage and maintain the property to a high level for the landlord. The relationship between Blue Pacific Property and the tenant is based on effective communication and co-operation and also an understanding of each party’s responsibilities and requirements under the lease. RE Connect oneCard This service enables you to conveniently and securely pay your rent 24 hours a day, 7 days a week by phone, internet, automatic direct debit, BPAY. Terms and conditions apply. Bank Cheque Bank Cheques should be made out to Blue Pacific Property Trust Account. Automated Periodic Payment from your financial institution, or through internet banking. Please note that our office cannot accept rent payments in CASH or by personal cheque. You are also required to pay your rent 2 weeks in advance in accordance with your Residential Tenancy Agreement. Please click below link to download the reconnect rental payment portal. Authorisation to access your property should you not be available to attend. Please be flexible with access arrangements for the necessary tradespeople. Only repairs deemed to be urgent should be submitted by phone. We will arrange for repairs to be carried out as quickly as possible, landlord permission is required at times so short delays can occur. Once we have approval to proceed, you will be contacted directly by the tradesperson to arrange a suitable time to carryout the repair or if you have given authorisation for the tradesperson to access your property with out you being in attendance repairs will be completed as soon as the tradesperson is available. 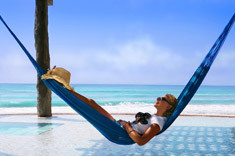 Relax, let Blue Pacific Property take the stress out of managing your investment property needs. Call us to discuss how our service benefits your financial bottom line. Not happy with your current Property Management Service. It is easy to transfer your property to Blue Pacific Property, we do everything for you, its simple! It is the combination of these skills which sets Blue Pacific Property apart from its competitors.